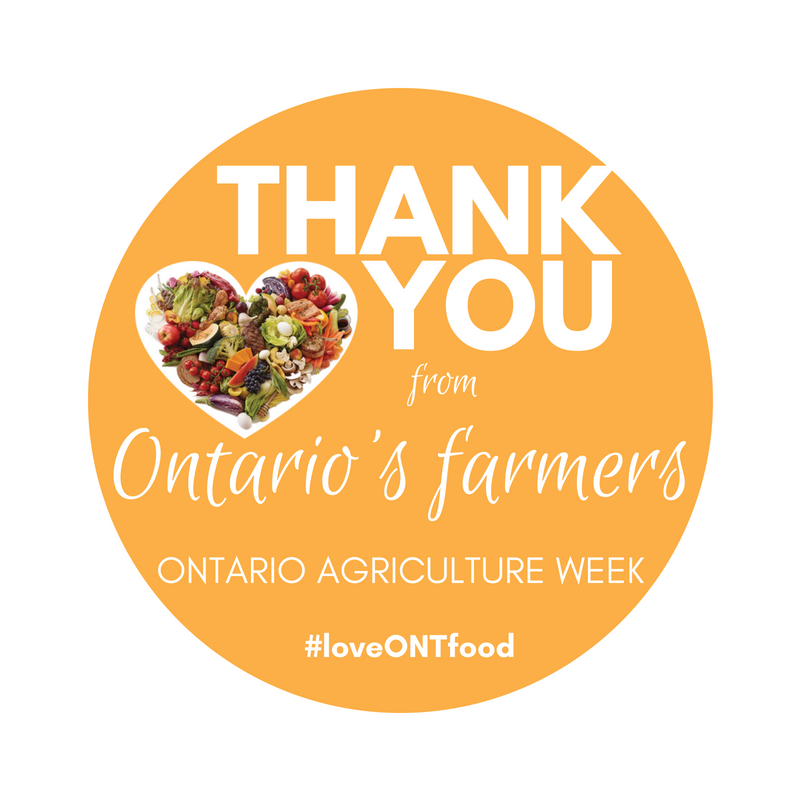 Thank you from Ontario’s farmers! 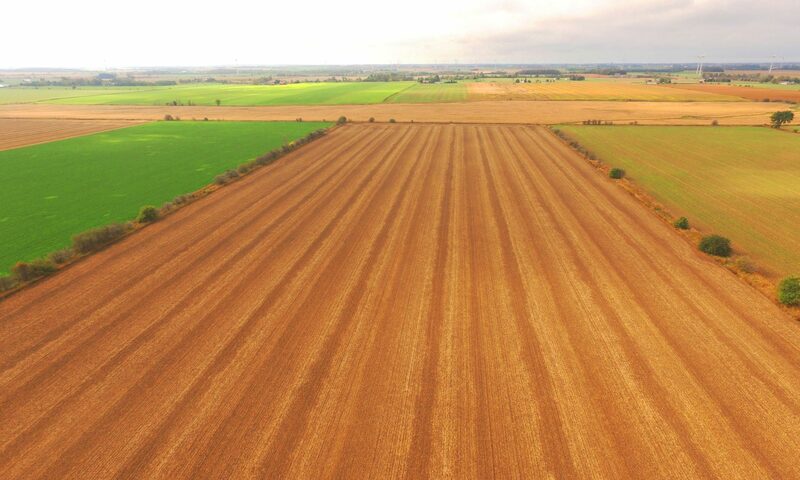 October 1st – 7th is Ontario Agriculture Week! This week, we are celebrating the nutritious, delicious and top quality food that is grown right here in Ontario. Looking for ways to celebrate #YourFarmers this week? Try producing meals made from local fruits, vegetables, meat, eggs, dairy and Ontario grains! 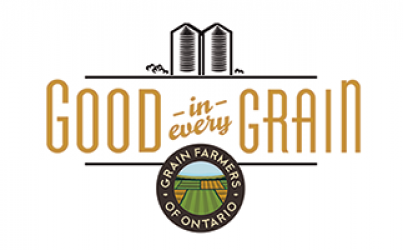 Good in Every Grain will be joining Beef Farmers of Ontario, Dairy Farmers of Ontario, Egg Farmers of Ontario, Farm and Food Care, Ontario Apple Growers, Ontario Greenhouse Vegetable Growers and Ontario Pork at a special event on Wednesday October 3rd at Union Station in the GO York Concourse Hall. From 7:00-8:30 am we will be on site handing out free breakfast sandwiches brought to you by #YourFarmers! During the afternoon, snack packs will also be available for those commuters heading back home for day. Be sure to stop by and grab a snack given with thanks from your local Ontario farmers. 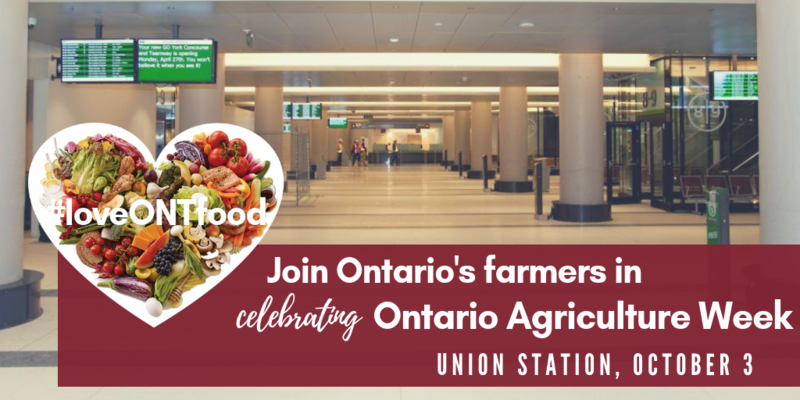 Join us on Wednesday October 3rd at Union Station or, follow along with #ONCommonGround and #loveONTfood on Twitter, Facebook and Instagram!